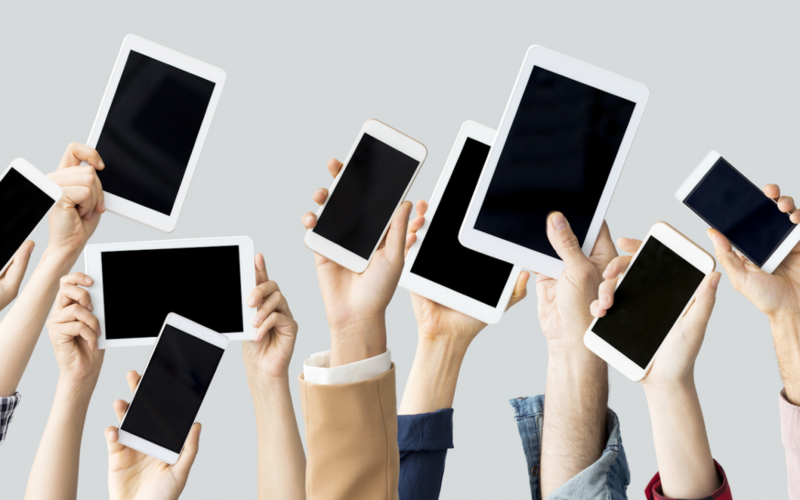 You have probably all heard of the term BYOD (bring your own device). Defined as when you bring your own laptop, tablet, phone, or other device to use at work. What you probably haven’t heard of is the term BYOC (bring your own clock) this is a way for you to track your time and attendance for work on your own device. Here are four reasons why you need to consider incorporating BYOC into your company. You have all seen those big and not to mention expensive fingerprint readers. While they are a pretty good way to keep your employees honest with their work hours, the amount of time and resources they take to maintain and install adds up to be a lot. What if there was a way for you to use your employees’ smartphone or buy a cheap tablet with a camera to track their hours? Well, there is and all you have to do is install a mobile time tracking app that can easily and efficiently turn a device into a punch clock. You don’t have to be a genius to roll it out or figure out where to place the clocks for your employees to be able to punch. With BYOC solutions it’s as easy as clicking the install button from the App or Play store. The app installs and now you have a mobile time clock in your employee’s pocket. You also don’t have to worry about the equipment being broken because it’s your employee’s phone; they are likely to take great care of it because it’s their device and replace it when it’s obsolete or broken. Additionally, if your employees lose or break their device or forget to charge it, the nice thing about having BYOC as a strategy for your company is that they can easily use the app on someone else’s device to log their time — It eliminates excuses employees sometimes give for why they didn’t clock in or out. What is one thing that people always have with them and literally will take anywhere whether they are at work, at the grocery store, or even in the bathroom? The answer is their phones. Ok so here’s the next question: what is the point of buying expensive time tracking hardware when your employees are already carrying a potential one around with them all the time? All you have to do is install an app. The idea of BYOC eliminates the hassle of having to secure the clock systems at every site you are working at, making it especially easy if your employees move around to different locations during the workday. You might think your employees are always honest and are not cheating you (and a majority are honest) with their timecards but let me ask you this if you look through the list of timecards how many of your employees times consistently say 9:00am – 5:00pm? If this is true, click the following link to find out just how much this is affecting you. Do all of your time cards start at 9am and end at 5pm? With BYOC and using a mobile biometric time app, you have a way to accurately keep track of your employees time down to the last second and make sure it is actually them without any extra work on your part. And with the aid of geofencing, you can track whether or not your employees are actually at work when they punch in. The idea of BYOC is hard to pass up because it is cheap, easy to install, it can move from location to location, and it eliminates time fraud. This is a simple solution that will make your life, as well as your employees lives, easier and more accurate.